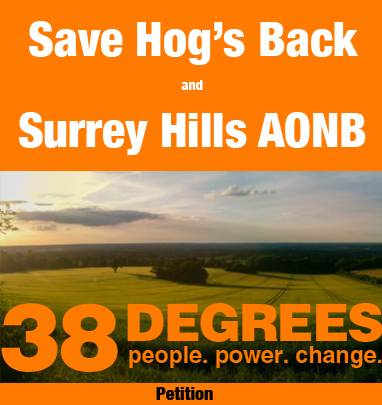 Save Hogs Back Limited is a not for profit organisation, which aims to protect the outstandingly beautiful landscape of the Hog’s Back for future generations to enjoy. 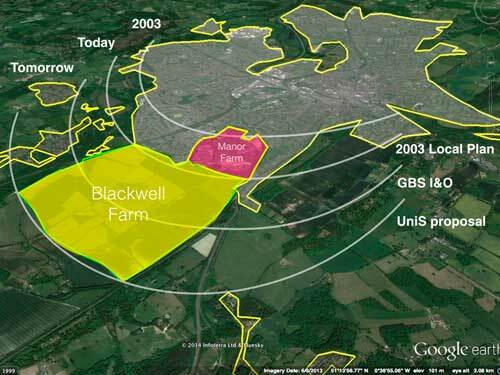 Currently, it is under serious threat as Guildford Borough Council (GBC) plans to take 139 hectares of farmland on the northern slopes of the Hogs Back (at Blackwell Farm) out of green belt in order to build a 1,800-home “urban village”. The University of Surrey, which owns the land, is pushing to increase this to 3,350 homes (265 hectares). In order to save Blackwell Farm, we need to raise £6,000 towards the cost of a planning expert who will represent us at a Public Examination, early next year. Please help us if you can by clicking on the button on the right. Everyone who gives a donation (however small) will automatically become a member of the Save Hogs Back campaign. We have a huge level of support, but we need to be able to demonstrate this to the Planning Inspector at the Public Examination. Please send an email to campaign@savehogsback.co.uk if your donation covers other household members or family/friends.